With social media dominating many webmasters’ content marketing strategies, everyone is seeking to expand their presence and gain traffic through sites like Pinterest, Facebook and Google Plus. For those who still doubt the influence of social media, the statistics do not lie: more than 1.2 billion people in the world are currently connected to one or more forms of social media. With such a large potential market, businesses and brands from all walks of life have implemented various strategies for expanding their markets and online clout. If your brand or business wishes to cash in on this trend, then continue reading to find out how you can increase the effectiveness of your social media. Too many people make the mistake of trying to be everywhere at once. While there are a variety of applications available that allow users to update across multiple platforms simultaneously, the truth is that each social media platform is unique and requires a different content marketing approach. Once you have determined the audience to which you wish to appeal, you can then find the perfect social media hubs for those demographics. We recommend that you focus on three social media platforms at the most – this will allow you to have an adequate amount of time to address the needs of each community and interact with customers and followers as needed. The same images, video and infographics that you would be pinging to Google can be used effectively on social media, as well. Particularly true with Facebook, media is the most popular and most likely form of content to go viral. Whether you create unique media or distribute existing content created by others, it tends to do better in terms of reach than simple text. Some brands will even find ways to incorporate their brands or products into custom photography that helps spread the word about their offerings while also providing aesthetic appeal. The possibilities with media are limitless, so feel free to unleash your creativity and experiment with multiple types of media to see what works best. If you cannot seem to generate traffic on social media via status updates and communication with those who do follow you, then having a promotion of some sort may be a good way in which to attract new followers, subscribers and fans. If your brand or website is pinging to Google products or services, for instance, then you can create a contest (many social media promotions use the concept of scavenger hunts based on images) that allows participants a chance to win a free sample of the item in question. There are dozens of time-efficient, free ways in which you can reach out to potential followers and customers via social media. While every approach is not suitable depending on the social media platform that is being used and the brand or product that is being promoted, most social media outreach is universal and can be applied to just about any endeavor. If you focus on a select few platforms, offer a variety of incentives to your subscribers, communicate effectively and use a variety of forms of media, you can slowly but surely build a formidable social media empire. 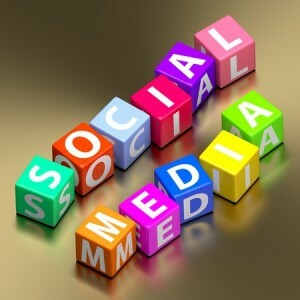 « Which Social Media Accounts Does My Business Need?